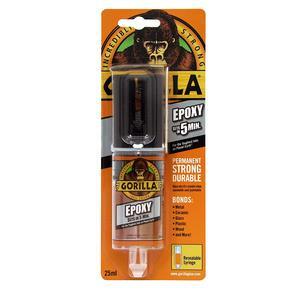 Gorilla Epoxy delivers a strong, long-lasting bond to both household and automotive repairs. The easy-to-use syringe dispenses an equal amount of resin and hardener, that when mixed together creates a permanent, durable and water resistant bond. 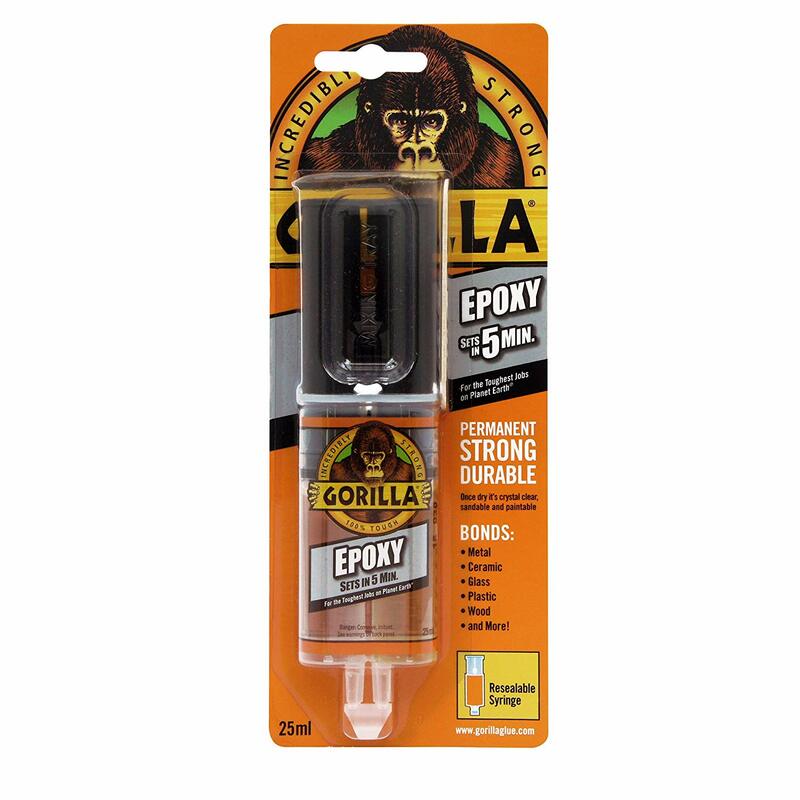 The two-part, gap-filling Gorilla Epoxy formula sets in 5 minutes and easily bonds steel, aluminium, glass, wood, ceramic, tile and most plastics*. Plus it dries crystal clear, ensuring your projects look spotless. Ideal for clean, easy finishing. Fills voids and bonds uneven and vertical surfaces. Gives ample time to reposition for the perfect fit. Withstands moderate exposure to water. Separate barrels of resin and hardener keep epoxy from hardening. Syringe dispenses evenly and includes a cap for multiple uses.